I recently heard a fascinating dying story. A woman told me how her elderly mother…either a scientist or an engineer (I can’t remember now, sorry) who was hours from death, drifting in and out of consciousness and totally non-lucid even when she was conscious…began to report on what she was experiencing internally, in a disembodied kind of voice. It seems the discipline of a lifetime dies hard. What struck us both was that the last thing she communicated was an experience of light. She said There’s a light. Twice. Which seemed surprising because her mother was a firm agnostic. The conversation paused briefly as we mused over this. I mentioned that I’ve heard a lot about this experience of light (of course, who hasn’t?) but the scientist hanging around in my own head, while curious, has remained unconvinced without further evidence. The fact that her mother was a scientist and agnostic definitely carried some weight. To which the daughter, who seemed to share her mother’s rational sensibilities, responded that it didn’t necessarily mean anything more than that her mother was having a visual experience of light. There’s no way to know for sure what was causing it, and certainly no way to know if it was a sign of anything else. And I got that. There really isn’t. But still…it comforted me. I mean, seriously, out of all the possible experiences I can think of having to go through during my own transition, heading for light is definitely up there in the top three. It sure beats seeing something like monsters coming to get me, or heading for a giant buzz saw, or disappearing into a gaping, empty, black void. Light is good. I’m all in for light. And…if any such light turns out to be the precursor to something more cool? Well, even the non-committal scientist in my head grins at the thought and says, IF that’s the case, then she’s totally on board, too. I agree with you Dia, it’s very comforting to hear of such things. None of us really know what it will be like, Not scientists, religious folk, athiests or anyone in-between. One thing’s for sure, we will all find out one day, no getting away from that! I know what you mean Chris. I kind of look at it as an adventure of discovery waiting out there for me someday, too. Interesting indeed. Not being a scientist by any means, would it be possible that ‘seeing a light’ near death is but a chemical reaction in the body……the ‘lights’ are going out. Isn’t it true that energy cannot be destroyed? And are we not energy? Just a couple of thoughts. I believe that a neurological or chemical reaction is one possible explanation that’s been proposed for the experience, and I imagine that’s what the daughter was thinking about. And it’s interesting that you mention energy can’t be destroyed…that was one of the thoughts we had, too. On the one hand the belief that our consciousness extends beyond physical life has to be based on faith since it’s not something that can be proved or disproved. But on the other hand our physiologies definitely leave an incredibly rich legacy to the physical world, and I’m comforted thinking about how my love and gratitude for the time I’ve had here will continue to exist through the atoms and other physical parts of me I’ll leave behind. Oh, I like what Jim’s thinking about. The light. Yes, we do hear it a lot. Light is supposed to be consoling and companionable. Why is it then, that when we most want to sleep comfortably, most of us prefer a very dark environment? Why do we find cloudy or foggy or misty scenes serene and comforting? The real mystery is that this is an experience which not a soul can prepare us for. There are no schools of dying. There are no dying gurus. 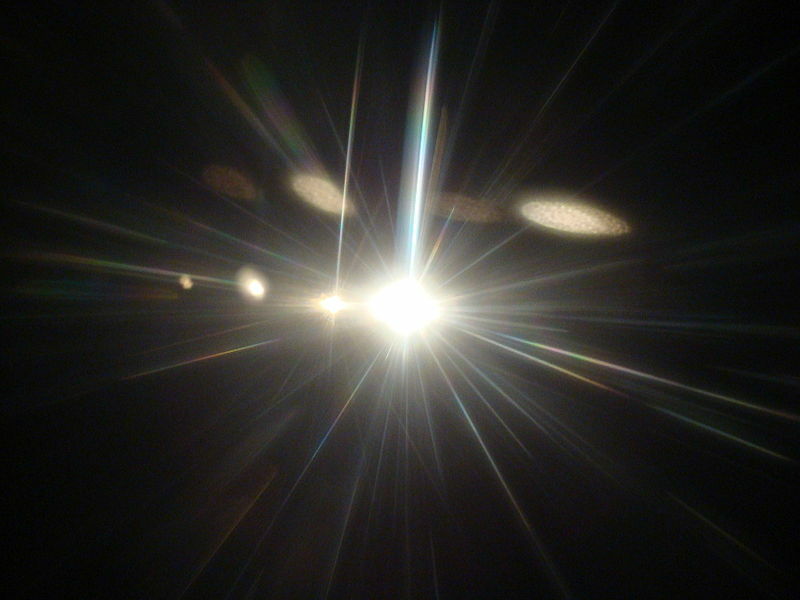 There are a few folks who’ve come back from near-death experiences and they usually relate a rather peaceful connection with that elusive “light” in the distance. But no one ever comes back to instruct us on what to expect. Death is life’s ultimate mystery. the human psychi whether it be religious or anything else would never condone walking into the dark…. There are actually a percentage of people who report life-after-death experiences (or whatever you call it when a person dies and is then resuscitated) that don’t involve light, so I’m not sure seeing a light is a universal experience. I agree though that it’s probably a universally DESIRABLE experience, whatever a person might say to the contrary! No, No…not to vague….I was just trying to show, in my lame way, that what you said was going to keep me busy thinking for a while!